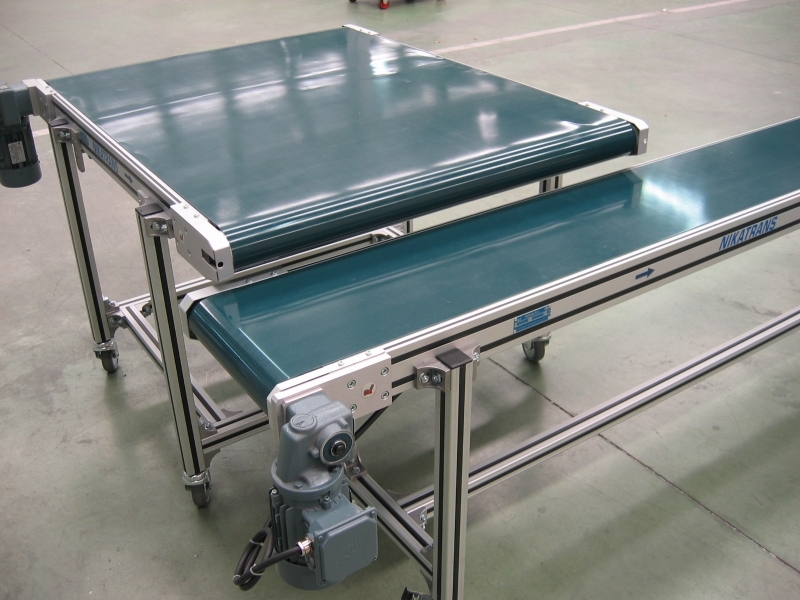 In the current production processes, the movement of loads or materials between work stations or areas is necessary. 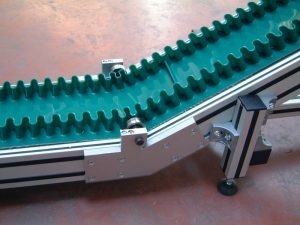 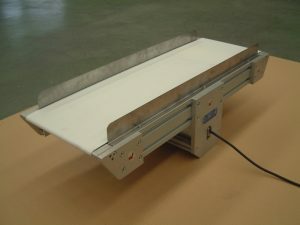 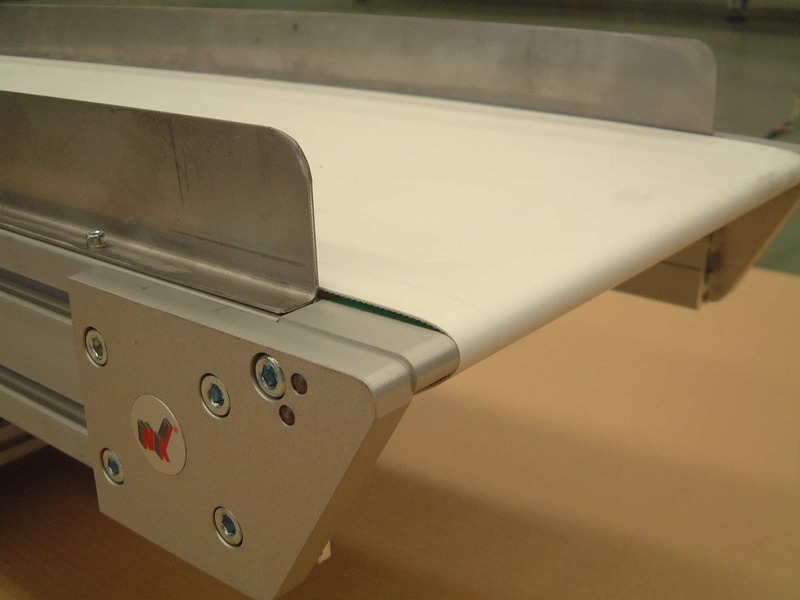 For this NIKAI SYSTEMS has a wide range of belt conveyors depending on the shape and weight of the product to be transported or the physical layout where the equipment is to be installed. The concept of our equipment is modular, therefore it is not necessary to use techniques of welding or finishing materials. 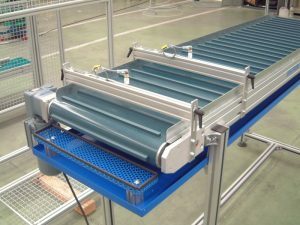 They have a large number of joining elements, either for later extensions if necessary or for the installation of any type of accessories to be mounted on the equipment such as guides, stops, photocells, etc. 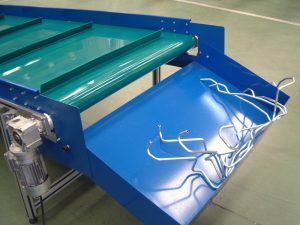 There are lots of materials in stock so that you have your finished equipment in a really short delivery time or so that if you want to do it yourself. 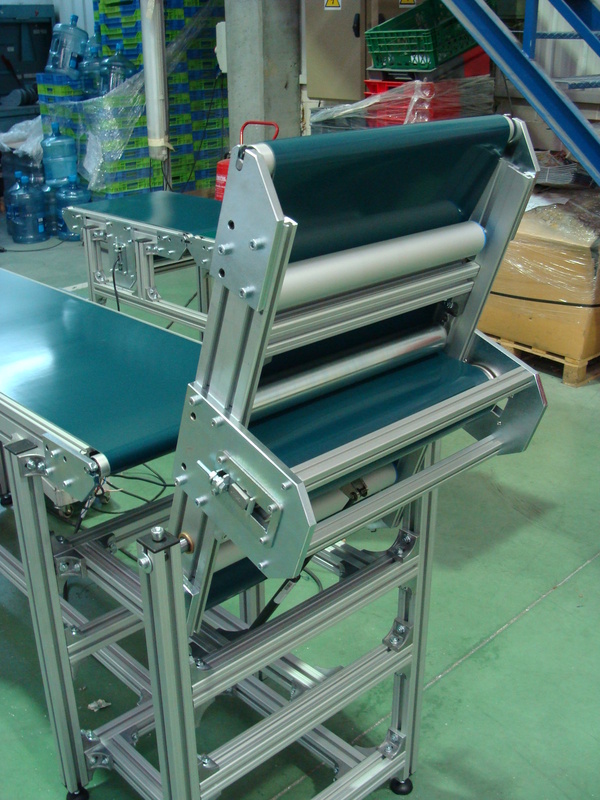 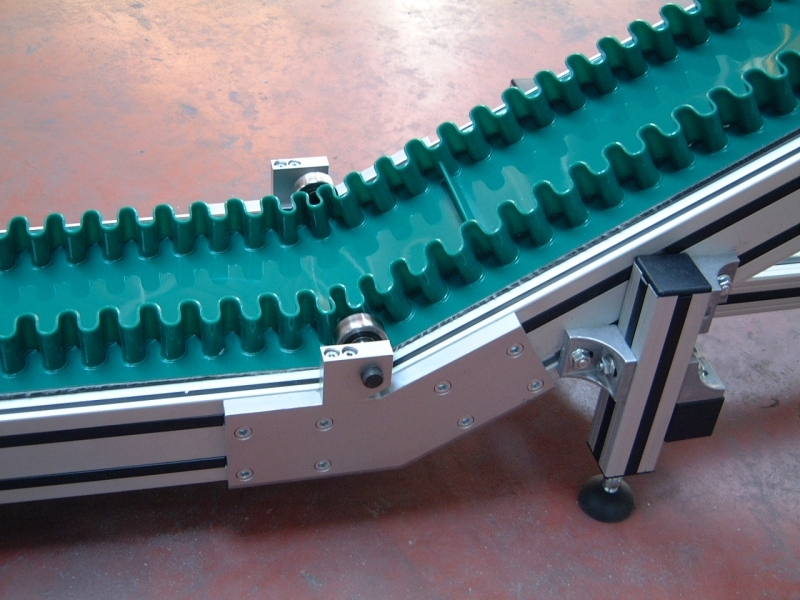 FDA belt conveyor driven by drum in central position.